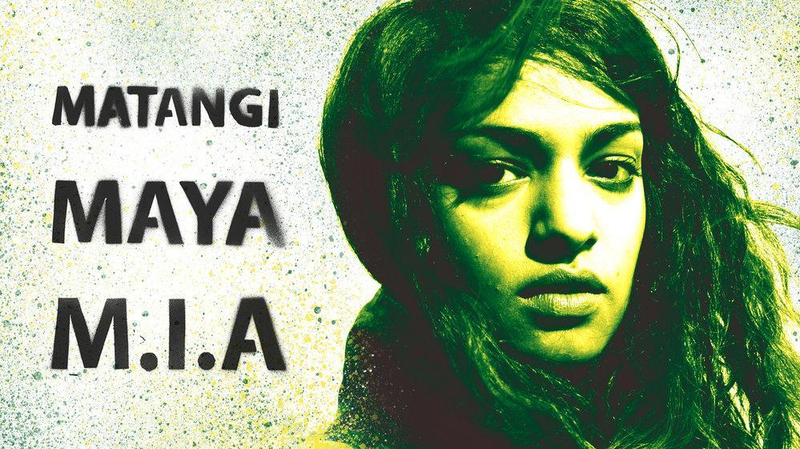 DVD Review: Matangi / Maya / M.I.A. Steve Loveridge’s documentary on Mathangi Arulpragasam (aka M.I.A.) is the story of a young girl’s creative coming-of-age as an immigrant in 1990s Britain, dealing with the dichotomy of her council estate home in Hounslow, West London, and her ties to Tamil life in Sri Lanka. Matangi / Maya / M.I.A. explores how Maya ended up becoming M.I.A. (a play on words of the abbreviation Missing In Action), one of the most popular and outspoken female artists of the 21st century. Yet this is almost secondary: Loveridge’s doc is less of a star-studded fame biopic and more of a look at Maya as a person first, global entity second. Opening with Maya speaking about music as a way to “stave off darker impulses” like drug addiction, and made up of her own home movies and filmmaking projects, you get a full-bodied and rich portrait of one woman – not just a vanity project for posterity. Maya’s voice helms the film throughout. We learn about her from the inside out, with a feeling more of a raw and unfiltered video diary than a filmmaker’s subjective view on her. We are less moulded by the narrative than by Mia herself. Her voice is the constant. We witness her humble beginnings: her refugee status from Sri Lanka to London; never keeping in touch with a father that is viewed as a “terrorist”, the founding member of the Eelam Revolutionary Organisation of Students; her filmmaking education at Central Saint Martins, described by as her old university friend as the only POC there; scoring a gig as a documentary filmmaker on tour with Britpop band Elastica; scouring her demos to record companies; her relationship with Diplo (her former partner and collaborator), and finally, ending with her life as a mother and activist. If this sounds like a lot to pack into 97 minutes, it’s because it is: the doc is bursting at the seams with the stories, ideas and ideologies it traverses, although this may be an unavoidable byproduct of attempting to give such an in-depth and varied look at one person’s life from adolescence to her mid-forties. Returning to your roots is a typical thread in most documentaries, with the camera acting as a barrier against true vulnerability. But with M.I.A., the camera is a witness, a testament to her own self-hood, her emotions being spat out in what feels like real-time. We see how what starts out as a journalistic enterprise in her early twenties in travelling back to the home that she has grown away from becomes something she could not expect or handle, and the discrepancies between her intellectual understanding of the atrocities of life in Sri Lanka as a war zone and an actual physical, bodily understanding of it. This is underscored by her cousin’s exasperation at explaining to her the difference between their lives, how childhood memories and actual lived experience are not one and the same-because she made a lucky escape, it is safe for her to discuss the horrors without having the fear of war and death still hanging over her. This is not a run-of-the-mill pop doc: it’s part defiant portrayal of a woman, part autobiographical travelogue, part tale of a country in turmoil through the coming of age story of a young girl, and part meditation on creativity and self-hood, baring all about the elusive grasp of the westernised dream. We get a searing intimate portrayal of M.I.A./Maya, with the documentary as her heartfelt diary and manifesto. As she gets progressively more and more famous, using her exposure on international late night talk shows to talk about the dire situation in Sri Lanka, you get the sense that she has always known exactly who she is.